Our partners do some pretty incredible conservation work, and we’d like to take a moment to highlight a project that’s being done in the boreal forest by our friends at the Sustainable Forestry Initiative, or SFI for short. The boreal forest is a biodiversity hotspot that spans across the entire northern portion of Canada, representing about 75 per cent of all our forest and woodlands. It plays an indispensable role in regulating the world’s environment, and also provides a home for wildlife including caribou, bears, snowshoe hare and thousands of other species. The boreal forest is also important for people, who benefit heavily from the economic and environmental resources it provides. But it’s birds that are among the most numerous of all the species that depend on a healthy boreal forest. 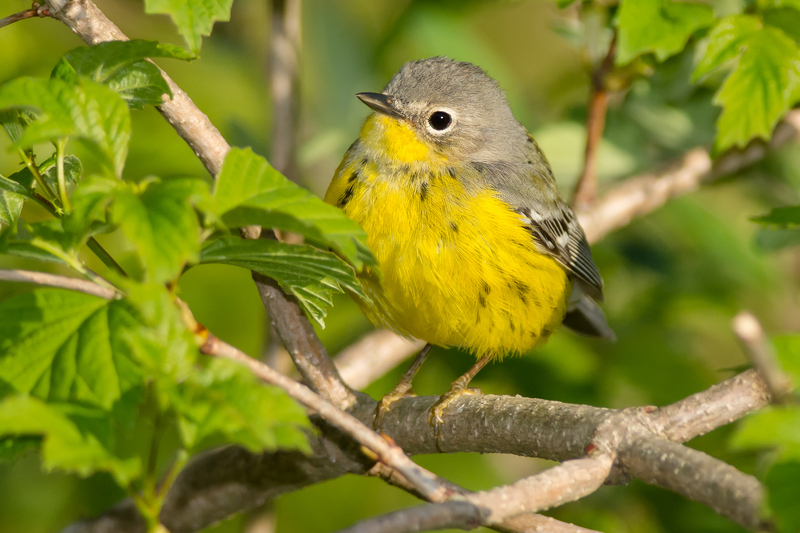 Over 300 different North American bird species rely on the forest for nesting or migratory stopover habitat. That’s nearly half of all commonly occurring bird species in Canada and the United States! And that’s really only looking at the treetops, so to speak. An estimated 1-3 billion birds flock to the boreal forest each summer to nest and breed, a number that swells to 3-5 billion once the young have hatched. To help ensure that their populations are safe, SFI supports the Boreal Avian Modeling Project (BAM), an international program that studies the habitat needs of different species. By looking at things like what types of trees different birds nest in, how big an area they need, and what kinds of food they like to eat, scientists can make recommendations on the best ways forests can be managed to benefit both bird life and human activity. But in such a big forest, how exactly do they tell the bobolinks from warblers? And with billions of birds, how can they effectively determine the real numbers of a species? While there are a few different ways to do this, we’d like to focus on the musical point count survey method. Birds like to sing, and by listening to their songs, it’s possible to identify the species that are in a particular area. Thousands of people have done point count surveys within Canada’s boreal forests and have shared the information with the BAM program. As of April of 2017, scientists received nearly 1 million point count surveys from 260,000 different locations! All of this data goes a long way into determining which species of birds – as well as how may of them – are living in one area. SFI understands that the forest is important for both people and animals, and that’s part of what makes BAM such an incredible project. Song by song, point count surveys are offering insights into what birds and other species need to survive. This helps forest managers ensure that the trees we harvest don’t drastically alter the forest ecosystem, or the health of animals overall. It’s music to our ears!